Jacques Poot is Professor of Population Economics at the University of Waikato in Hamilton, New Zealand. He is also adjunct professor in the Department of Spatial Economics at VU University Amsterdam. He held previous academic positions at Victoria University of Wellington in New Zealand and at the University of Tsukuba in Japan. Professor Poot was born in The Netherlands and has a Masters degree in econometrics from VU University in Amsterdam and a PhD from Victoria University of Wellington. He is an elected Corresponding Member (the equivalent of Honorary Fellow) of the Royal Netherlands Academy of Arts and Sciences. He is also an Affiliate of Motu Economic and Public Policy Research in Wellington, an Associate of the Centre for Research and Analysis of Migration (CReAM) at University College London, a Research Fellow at IZA Institute for the Study of Labor in Bonn, and an external advisor to the New Zealand Government’s research programme on the economic impacts of immigration. 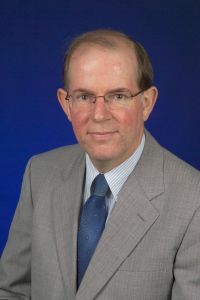 Jacques Poot is a member of the editorial board of a number of international journals and was 1997-2006 Pacific Editor of Papers in Regional Science. His research interests include all aspects of the economics of population (such as migration, fertility, labour force, and ageing) and especially the geographical dimension of these topics. Besides NORFACE's MD-RDE, he also co-leads a large four-year collaborative research project on the economic integration of immigrants in New Zealand.